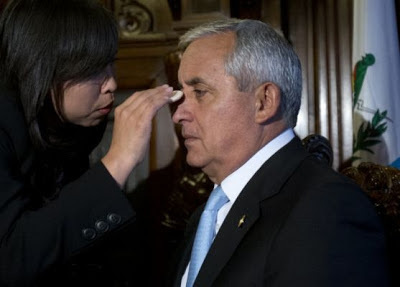 Guatemalan President Otto Perez Molina says that Belize should restore its referendum law to what it was in 2008 if it wants to save the 6 October 2013 referendum to decide if its territorial claim against Belize should go before the International Court of Justice at The Hague. Guatemala’s referendum laws provide for a simple majority to decide a plebiscite. This is in sharp contrast with the 60% minimum participation and 51% majority approval high bar that Belize now has in place. The law was changed by the Belize government in 2008 shortly after the United Democratic Party government took office.